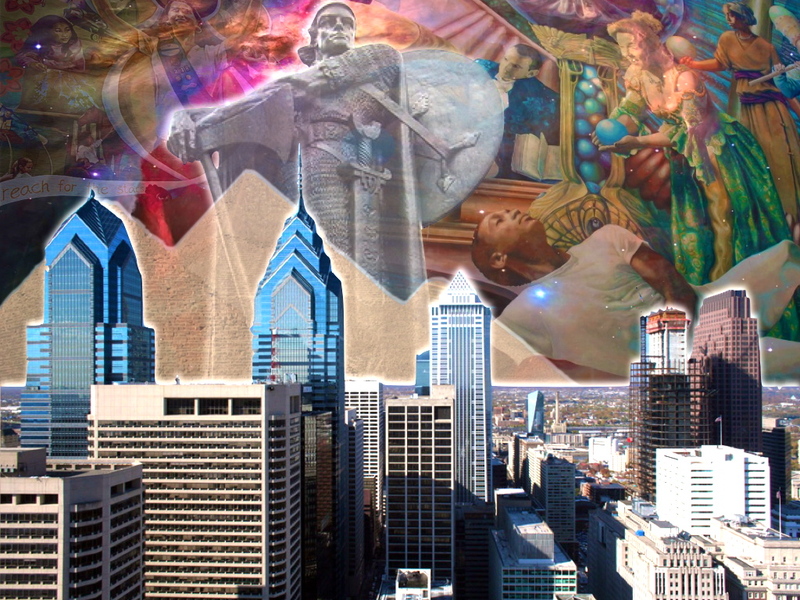 What if we were living in the midst of a modern day myth-making? Would we recognize that we were participants in a unfolding stellar drama? Most importantly, would we utilize this opportunity to become cosmic citizens with a new celestial awareness? This is the scenario/opportunity we are being presented with! Around the planet, ancient & sacred sites appear to be coming back to life, re-activated so to speak. 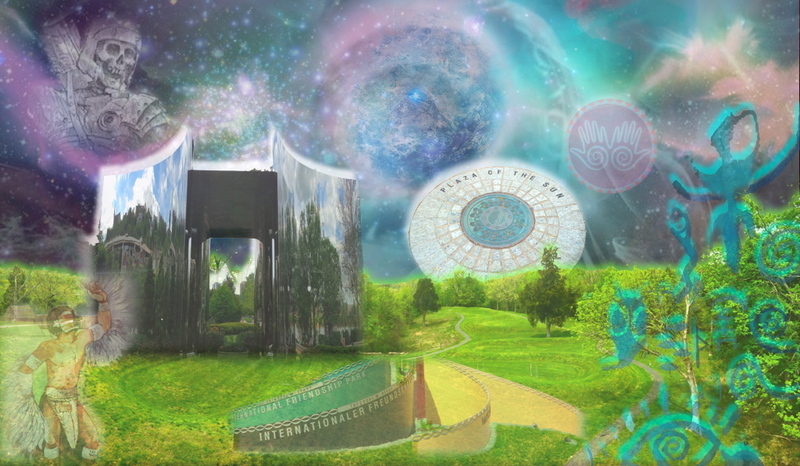 In this article we will be taking a journey to a few of the cosmic landscapes that bless the Ohio Valley of North America, in particular the stellar symbolism that surrounds the Great Serpent Mound. An amazing scenario has begun to take place in regards to the ancient mound sites, and the highly energetic landscapes they were built upon. Over the last several decades an incredible transformation has been taking place within the vicinity of the ancient sacred mounds. 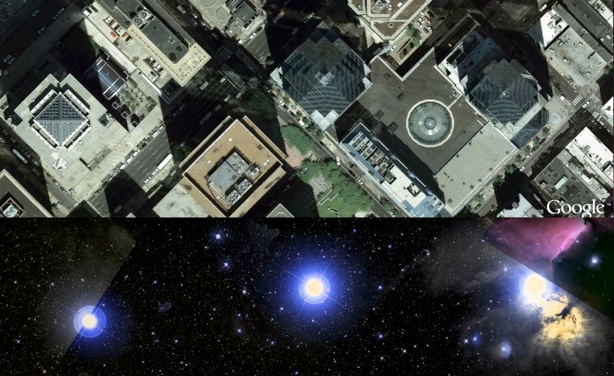 The modern urban centers that have been brought into fruition, in the same geographic area, have emerged into cosmic, or even Mystical Cities. 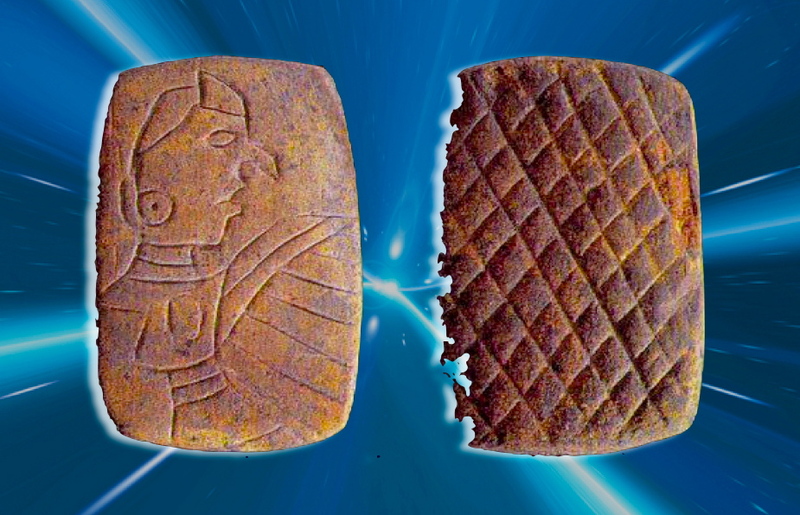 What has been discovered is that much of the same ancient, sacred, & stellar symbolism that we find throughout the mound sites appears to have re-emerged in the forms of art and architecture within their neighboring urban centers. There’s more….. 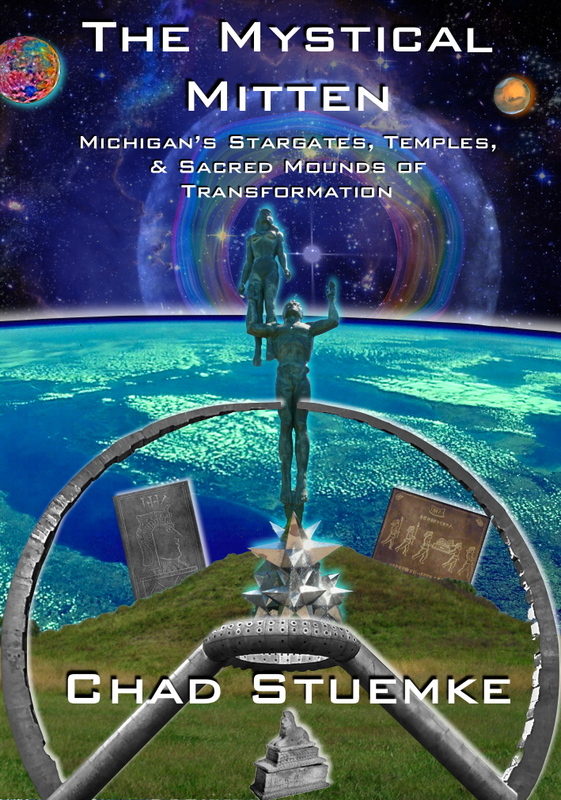 While surely much of the symbolism & alignments incorporated in the ancient mound sites & temple plazas was consciously deposited, this may not always be the case with their neighboring modern urban portals & Mystical Cities. 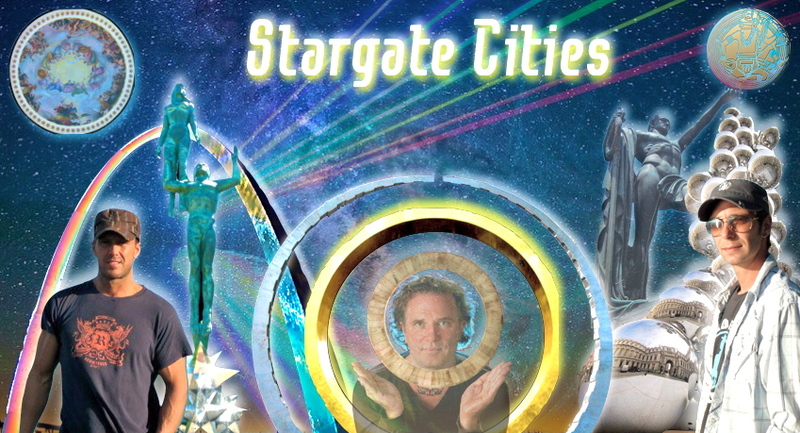 In other words, some of the cosmic symbolism found within the urban portals that will be discussed may have been brought into fruition in part unconsciously! >Are the ancient spirits of the landscape acting as catalyst of wisdom, downloading knowledge through the artists and architects? Could the modern day artists in these cities be unconsciously tapping into the same stellar energies that the ancients were trying to connect with via their nearby Cosmic Temples? Before unraveling a few of the Great Serpents mysteries, and unveiling for the first time its urban counterpart. 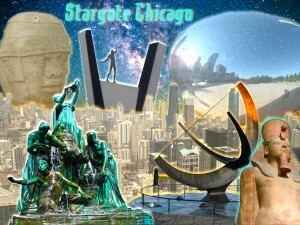 Lets take a brief flashback to a few of the urban portals & Stargate Parks that have been discovered & deciphered thus far by myself along with fellow Stargate Hunters. 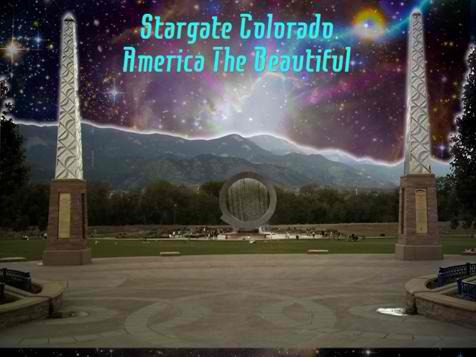 It was initially Investigative Mythologist William Henry that decoded and unveiled one of the first modern day Stargate Parks. What William discovered in “his own backyard” was truly inspirational. 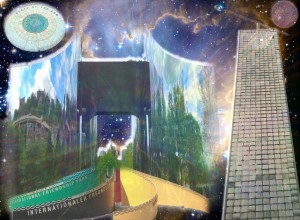 The Tennessee Bicentennial Mall (Stargate Park) of Nashville contained spiritual, mythological and even cosmic symbolism. Of utmost importance to our investigation is the fact the park is built atop an ancient sacred landscape (burial ground). A few KEY components to the park that have been pointed out by William are as follows..
William has also demonstrated how the design of the park can be seen as a template, or even a catalyst for achieving a higher consciousness. 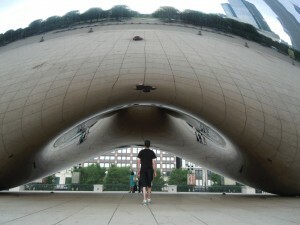 In 2006 I was thrilled to discover and decode an urban portal in “my own neck of the woods”. 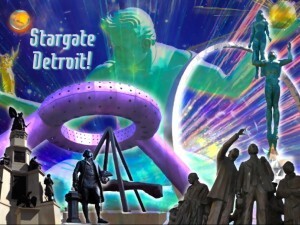 Stargate Detroit!! In the heart of downtown Detroit an Urban Portal / Cosmic Temple has emerged containing monumental amounts of stellar symbolism & knowledge, Hart Plaza. 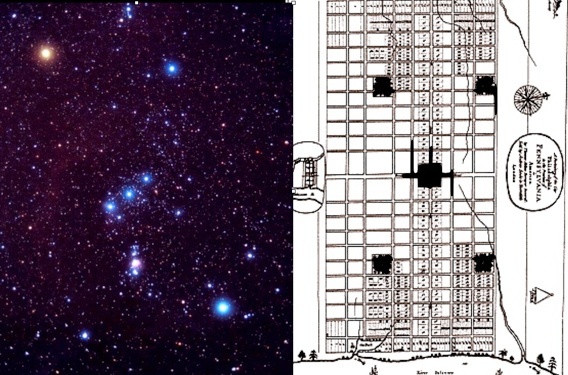 Artist Isamu Noguchi both correlated and orientated the monuments and park to both the Giza Pyramids and the constellation Orion. Isamu Noguchi achieved this cosmic feat in the mid 70’s, decades before Robert Bauval’s Orion correlation theory was put forth!! 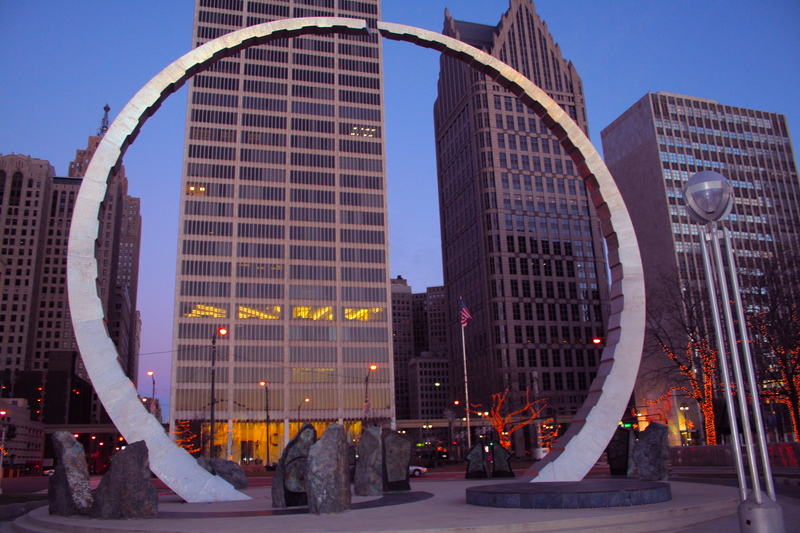 In 2001, for Detroit’s TriCentennial celebrations, Hart Plaza received it’s very own Stargate to grace Noguchi’s cosmic park! 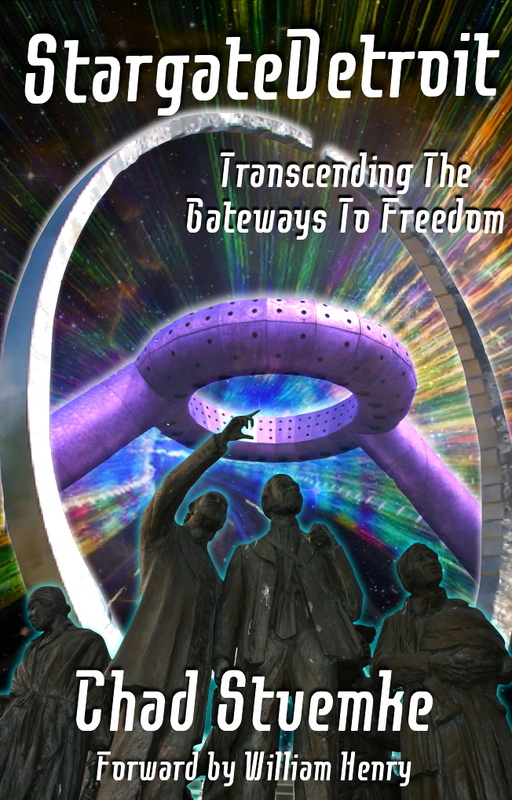 The gateway was entitled Transcending! 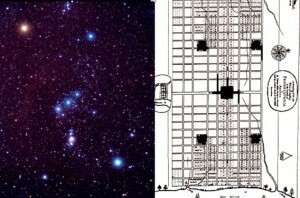 Coincidentally (or not), the same time the Detroit/Orion correlation was being decoded, so was the Philadelphia/Orion connection! Following the decoding of Stargate Nashville, Detroit and Philadelphia – the urban portal flood gates perceivably busted open! 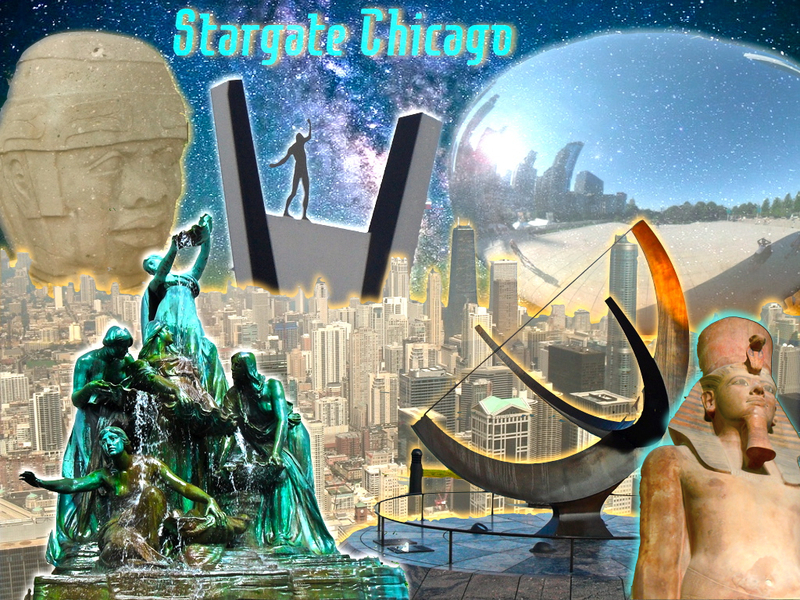 We began discovering Urban Portals, Cosmic Temples and Stargate Parks everywhere, many of which contained their very own Stargate monuments! 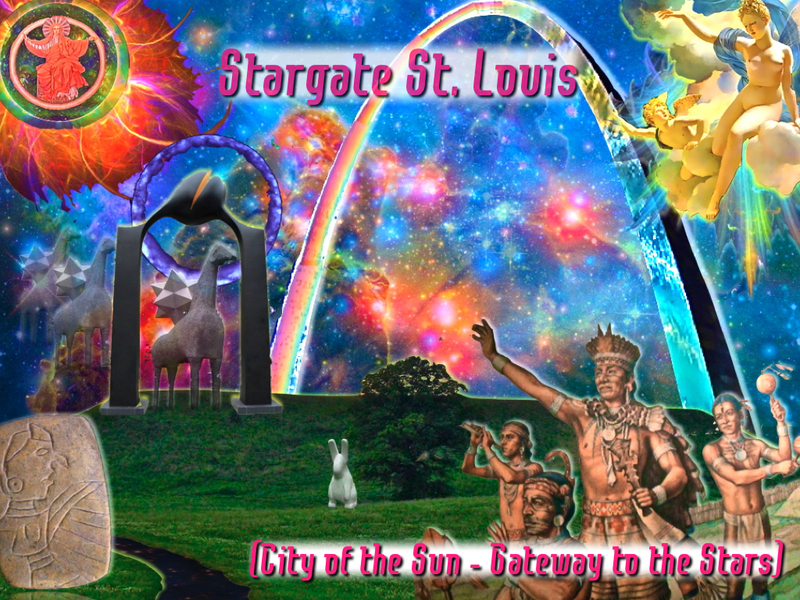 Now for the unveiling of Ohio’s Serpent Culture’s version of a Stargate Park. As mentioned previously, many of the modern parks are being brought into fruition containing ancient and corresponding symbolism from their neighboring sacred landscapes. So before visiting Cincinnati’s Friendship Park, lets take a brief journey that will encapsulate the ancient symbolism and wisdom that surrounds the Great Serpent Mound. 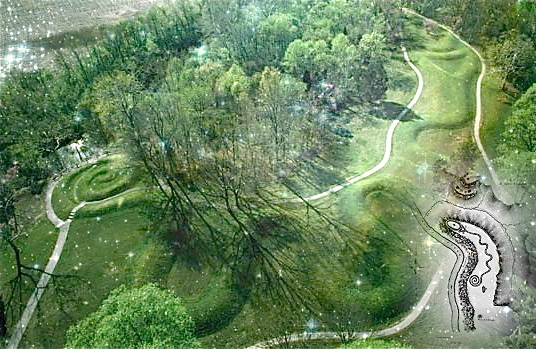 The Great Serpent Mound is located in Adams County Ohio, and is by far the most incredible effigy mound remaining in the region. The mound appears as a slithering serpent with a coiled tail, preparing to swallow a cosmic egg. The Great Serpent was first brought to the publics attention in modern times by the archeological team Squire & Davis in their monumental book, “Ancient Monuments of the Mississippi Valley” in 1948. The ancient Serpent was built upon an extraordinary landscape. Not only is the monument located at the conjunction of three rivers, but it has also been built on top of an ancient meteorite impact, or what has been described as a “Crypto-explosion structure”. Some researchers contemplate that this may attribute to the areas magnetic and gravitational anomalies. Carbon dating has dated the Serpent to anywhere from 1200 B.C. – 1650 A.D., which could be inclusive of either the Adena or Fort Ancient cultures of the region. Considering the mounds many stellar alignments, other researchers have pointed out the Serpent would have been in alignment and conjunction with its heavenly counterpart ( Constellation / Draconis) about 2830 B.C. I personally lean towards the latter date considering the Serpent itself appears to be a data bank of cosmic knowledge & stellar calculations! 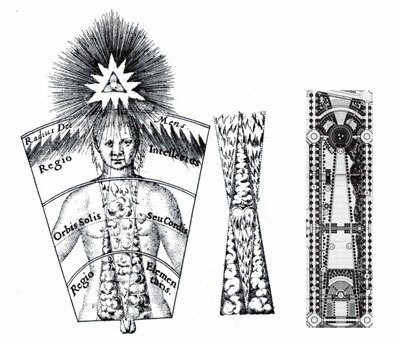 The Great Serpent was in part built as a repository of cosmic knowledge. its astronomical significance can not be over stated. Not only was the Serpent orientated to its heavenly counterpart, Draconis, but is also a cosmic calculator revealing several celestial alignments. Thus far researchers have discovered 17 or more possible solar, lunar, and pole star alignments. 7 The cosmic Serpent truly is an astronomical effigy mound! 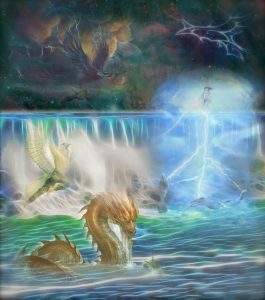 Although the Serpent reveals an abundance of cosmic alignments, this may have only been a portion of its practical functions. 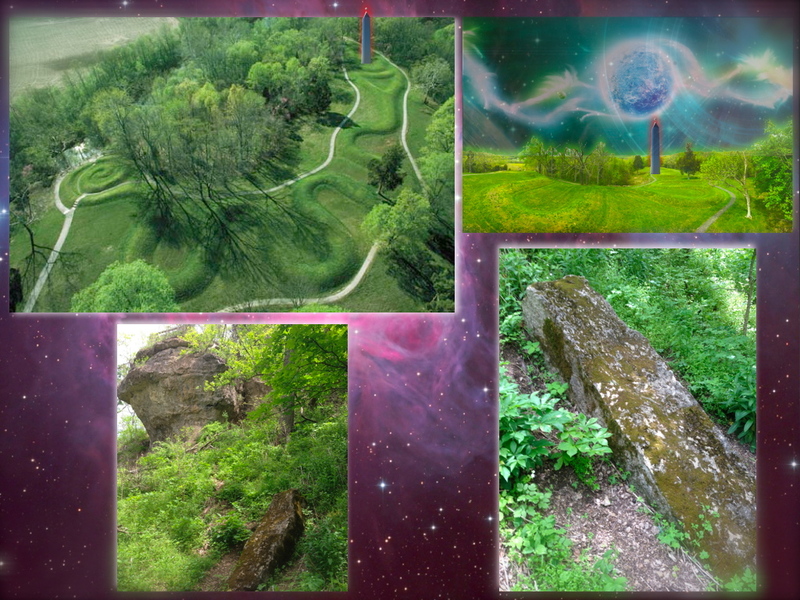 One new piece of research that has bubbled to the surface of late is the possibility of the Serpent Mound being a cosmic accumulator so to speak! Is it possible the great Serpent could both collect and re-distribute electromagnetic and cosmic energies? There may at one time, have existed a stone monolith within the cosmic egg that acted as a cosmic accumulator, attracting lightning and possibly even cosmic rays. The story begins with Squire and Davis during their archeological adventure and the initial discovery of the Serpent. Discussing the oval egg they point out an anomaly. “The ground within the oval is slightly elevated: a small circular elevation of small stones much burned once existed in its center; but they have been thrown down and scattered by some ignorant visitor, under the pre-veiling impression probably that gold was hidden beneath them.” 8 This may have been one of the first modern day clues to the possibility of a monolith acting as a lightning attractor within the cosmic egg. 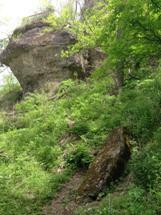 Squire & Davis mentioned the burnt stones had been dropped off the cliff where the head and egg of the Serpent reside. 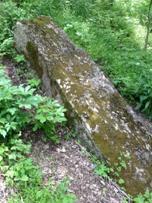 Intuitively, myself along with other researchers have discovered what appears to be a large stone monolith in the same location (bottom of Serpent Mound cliff) as the burnt stones referred to by S & D.
(Revelation of John :13) And it worked great miracles, even calling down fire from heaven onto earth while people watched. As incredible of a scenario as this is, it gets even farther out there, literally! As we have been discussing, the Great Serpent is truly an astronomical & cosmic effigy mound. Could it be an accumulator / dispenser of cosmic energies as well? A new scientific study suggests that cosmic rays may actually act as a catalyst for lightning. The article reported, “ A mechanism proposed by Russian Physicist Alex Gurevich of the Lebedev Physical Institute and his collaborators suggest that the movement of large showers of energetic particles produced by high-energy cosmic rays – which originate from exploding stars halfway across the galaxy – might provide a conductive path that initiates lightning.” 12 If true, the Serpents possible lightning attractor may have also been accumulating cosmic energies! Thus far we have discovered that the Great Serpent has been aligned to the heavens as well as functions as a cosmic and earthly accumulator of energies. The Serpent Mound of wisdom appears to be all encompassing of ancient knowledge. Having looked at a few of the Serpents practical functions, now lets contemplate some of the symbolism, myth and lore that has been perceivably connected to this sacred landscape. The serpent has been one of the most frequently revered symbols within cultures myth & lore around the planet. In many instances the serpent in general has been associated with being a “Bringer of Knowledge”. The snake throughout history has also been connected with the powers of “future – sight”, more commonly known today as precognition. 13 Keep this in mind (precognition through the serpent) as this will become an important facet to this investigation, particularly when we discuss the unconscious emergence of the modern day serpent symbolism. One possible representation of the symbol of the serpent is that of the consciousness activating Kundalini. 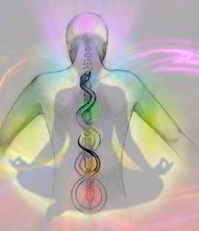 Kundalini actually means “coiled”, often symbolized by a “coiled” serpent at the base of the human spine. One of the first cultures to link serpentine symbolism to their gods were the Sumerians. Their Annunaki god Enki (EA) was in some instances depicted as part serpent, others as a bird-man, and sometimes even as a giant. 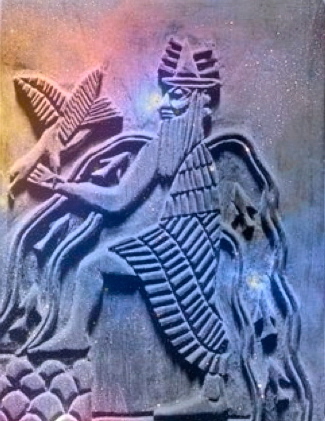 A few of the attributes to Enki were the creation of humanity, the bringing of sacred knowledge, as well as saving humanity from the ‘Great Flood’. 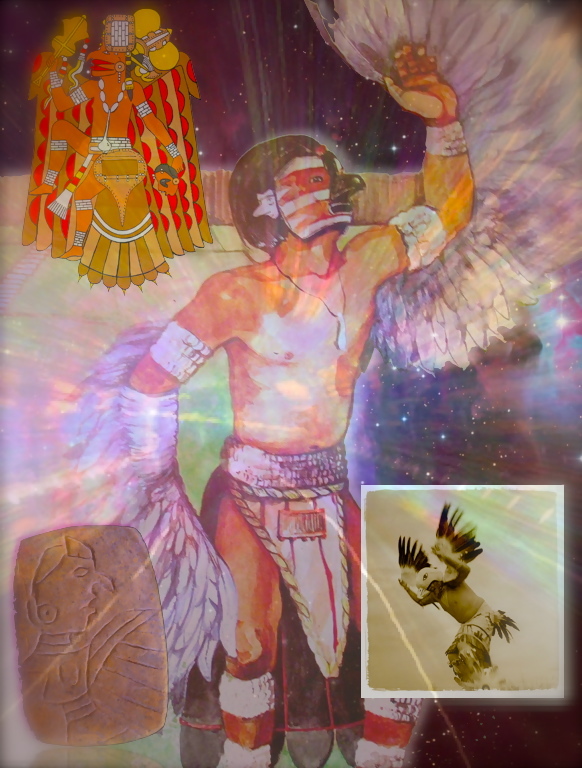 In the case of the Mesoamerican cultures it was the serpentine / bird-man, or plumed serpent who was believed to be the “Bringer of Knowledge” The knowledge bringer was known as Quetzalcoatl. Quetzalcoatl means “feathered serpent”. He was also regarded as a savior figure, sometimes a Pale Prophet, and/or even a bird-man. The Birdman is a multi-layered symbol of a cosmic deity, that legend has it, visited the Ohio Valley as well as surrounding regions. The symbol has been discovered on relics, pottery, personal ornaments, and even as Birdman mounds. Archeologist point out the bird represents the upper-worlds, the man (this world) and correlating serpent imagery to the underworld. Could a Pale Prophet/Seraphim/Birdman have visited the Ohio Valley, leading to legends of a cosmic Birdman? Years ago, author L. Taylor Hanson took it upon herself to visit Native American tribes from South America to the Northern most parts of Canada. Her mission was to document the ancient tribes myths and lore of a Pale Prophet visiting them in the past. The Birdman can also be viewed as a derivative of the native’s mythological Thunderbird legends. Legend has it that in this region the Thunderbird & Water Serpent/Panther were in a cosmic and mythological battle. 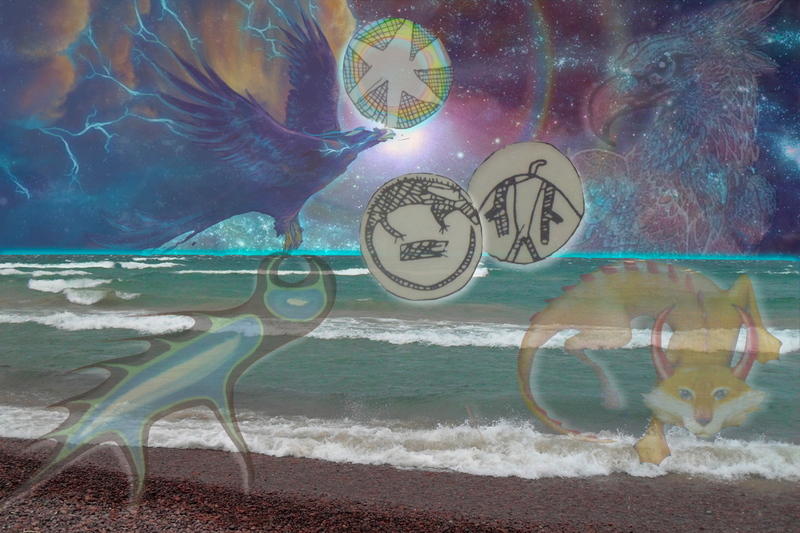 The Thunderbird symbolic of the upper-worlds, and the Water Panther (Mi-Shi-Pe-Shu) of the lakes and underworld. In some legend the natives claim to have actually made the heavenly transformation into a Thunderbird or Thunderer! The following Algonquin legend about the Thunderbird & “Thunders” is entitled “An Indian Transformed Into A Thunder”. Seven years later. . . back on Earth. One final Birdman legend actually connect the Birdman to the regions mythological giants! Archeologist have speculate that depictions of the Birdman may have been symbolic of the mythological Red Horn. This is the legend of Red Horn & Pretty Women. Legend contends, mythological figure Red Horn (Son of Earth-maker) was one of the major spirits who descended to earth to aid the human race against spiritual enemies. In some instances Red Horn was perceived as a Birdman, as well as a possible descendent of the legendary giants (in part due to his large lock of red hair). Red Horn participated in a Kisik (lacrosse) match alongside of Turtle and Thunderbird against a local tribe of giants. The star player of the giants team just so happened to be a giantress with long, flowing, red hair. They called her Pretty Women. Pretty Women was a distinguished member of the giant clan. Although this is admittedly legend, could it be seed in a kernel of truth? Legends worldwide depict a race of giants (MIghty Men of Renown) who roamed the earth in times of old. 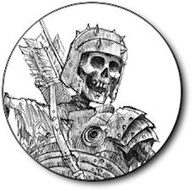 The legends of the Ohio Valley’s giants are very reminiscent , and quite similar in comparison to other giant stories planet wide. Sacred Landscape researcher Freddy Silva reveals, “ The Cherokee go so far as to claim much of their traditions were a legacy from a dying race of giants they encountered during their migrations across the plains & into the Allegheny Mountains. 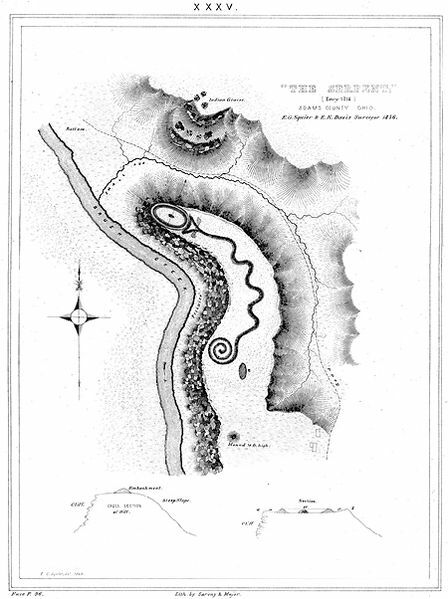 They attribute these people with building many of the great earth works through the Ohio Valley, including the sinuous Serpent Mound.” 20 Natives of the Delaware tribe agree, the territory all about the Serpent Mound was populated by an ancient mysterious race “unusually robust” called the Allegewi. Could these be the same giants (Mighty Men of Renown) that were mentioned in the Bible as well as other apocryphal texts? The Egyptian Followers of Horus (Birdman) may have also been “builder god – giants”. Freddy Silva in his book Common Wealth makes some very interesting observations. Prior to 3100 B.C. 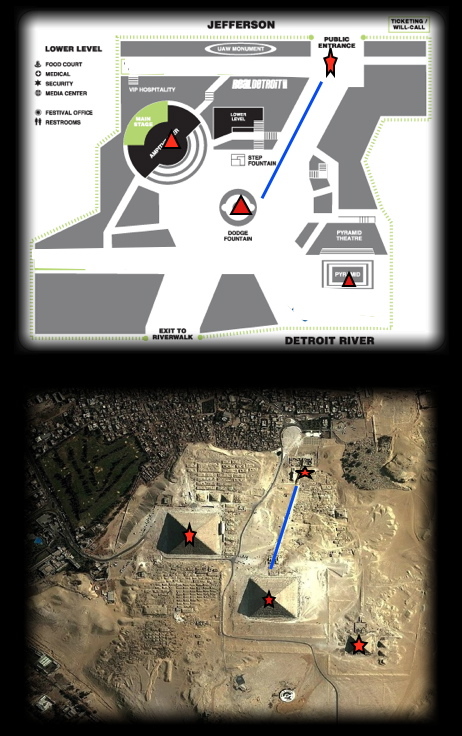 Egyptian history mentions an “ Occasion of the First Time”, and we are told the landscape was ruled by the “Neteru”, or gods. Following the “Occasion of the First Time” there was an era ruled over by a group called the Shemsuhor, or The Followers of Horus. They were said to stand nine cubits tall, or a whopping 15ft. 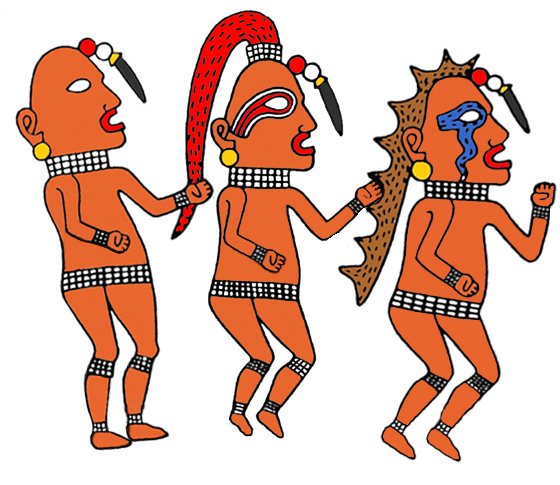 They were also believed to be semi-divine beings. 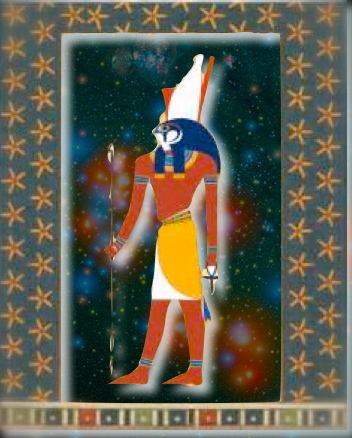 As the Followeres of Horus, one of their responsibilities was to teach the passage of the heavens. Could the “Builder gods” have had a “Giant” hand in the building of the Ohio Valley’s mounds. 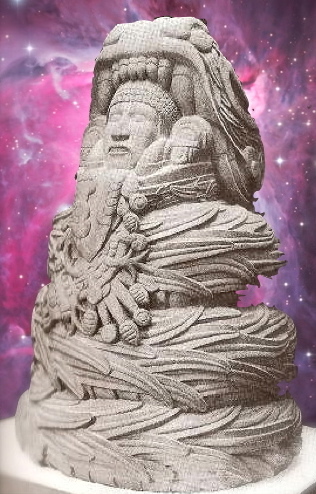 Could a race of giants, in general, have attributed to the sacred mounds being brought into fruition, as well as the cosmic knowledge they incorporate? Throughout the region of the Great Lakes & Ohio Valley a substantial number of “Giant” bones were discovered and reported on in the late 1800’s and early 1900’s. Having brushed up on the history of the Great Serpent Mound, as well as some of the symbolism, legends, myth, & lore surrounding the monument, Lets now visit its modern and urban counterpart! 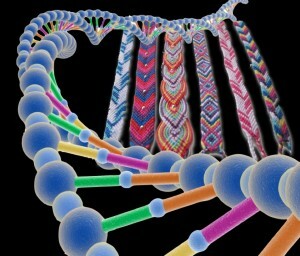 A DNA activating, serpentine, cosmic park, containing portal, gateway, and mythological symbolism! 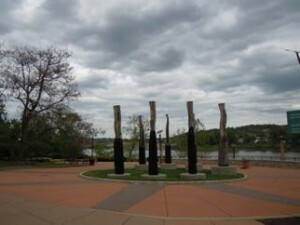 The Theodore M. Berry International Friendship Park, completed in 2003 along the Ohio River, is just east of downtown Cincinnati. Named for Cincinnati’s first African-American mayor, it exudes a feeling of friendship and unity. 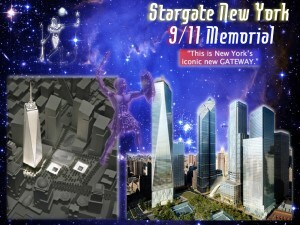 The park has emerged and transformed over the last decade, revealing amazing cosmic & Gateway symbolism! 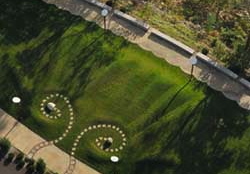 Incredibly, much of the same stellar symbolism incorporated in this serpentine park is highly reminiscent of symbolism surrounding the Great Serpent Mound. 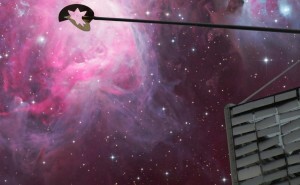 What I have speculated is that the architects and artists may be unconsciously downloading these cosmic plans, bringing into fruition these incredible Stellar Parks! The bigger question to ponder is where these stellar blue-prints are coming from. . .
Design team Human Nature assembled a multi-disciplinary team of consultants and the internationally renowned firm of EDAW to design this exciting new park. 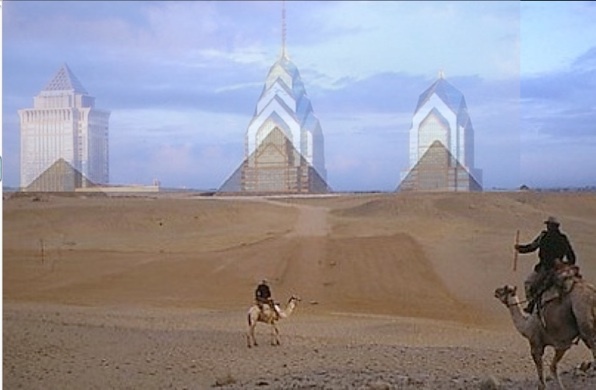 The park design itself can be viewed or perceived on several symbolic levels. First, the park can be seen as a Friendship Bracelet with “charms” that serve as major events, such as interactive fountains, earthworks sculptures, & environmentally & culturally symbolic features. 25 Another way to contemplate the park design is two strands of intertwining DNA. 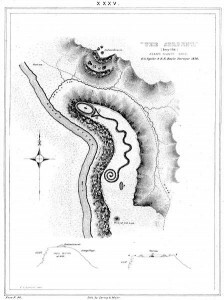 And of course the slithering shape is also highly reminiscent of the great Serpent Mound! Park/ Serpent Mound Comparison – notice the serpents head & egg! The Path of Man & Path of Nature are the titles for the two intertwining walkways that meander through the park. Strolling the sacred paths takes the visitor through several continental gardens., with each garden reflecting the charter of its particular native region. The gardens include, the Garden of Europe, Garden of Africa, Garden of Australia, Garden of Asia as well as Garden of the Americas. Starting at the tail of the serpent (West end of park), lets now contemplate & connect with the stellar symbolism that has emerged within what I like to refer to as a “Cosmic Temple”, otherwise known as The Theodore M. Berry International Friendship Park. 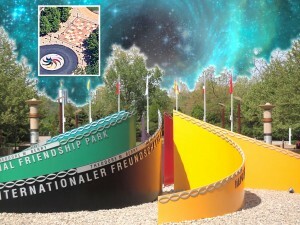 Upon pulling into the Friendship Park, the very first colorful monument to immediately grabs your full attention. The “Rainbow Pinwheel” sign displays the name of the park in eight different languages. Symbolically speaking, both the rainbow & the pinwheel (spiral) are very important symbols many times referring to cosmic portals and gateways. The fact these two cosmic symbols are used in conjunction with each other, as a greeting to visitors, is truly a comic synchronicity. 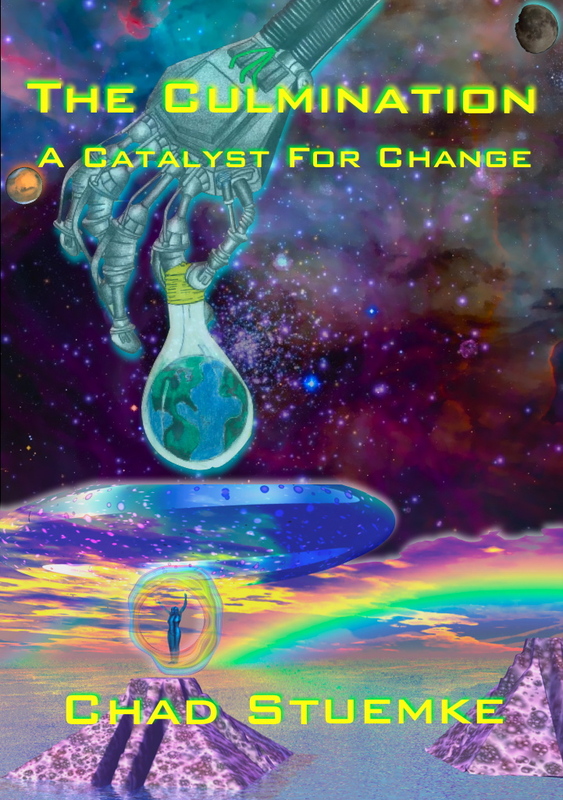 The rainbow can of course be symbolic of the “Rainbow Bridge”, a gateway between the earthly & heavenly realms, between worlds, and possibly even dimensions. The Rainbow Bridge has become a very common feature in these emerging Stargate Parks. 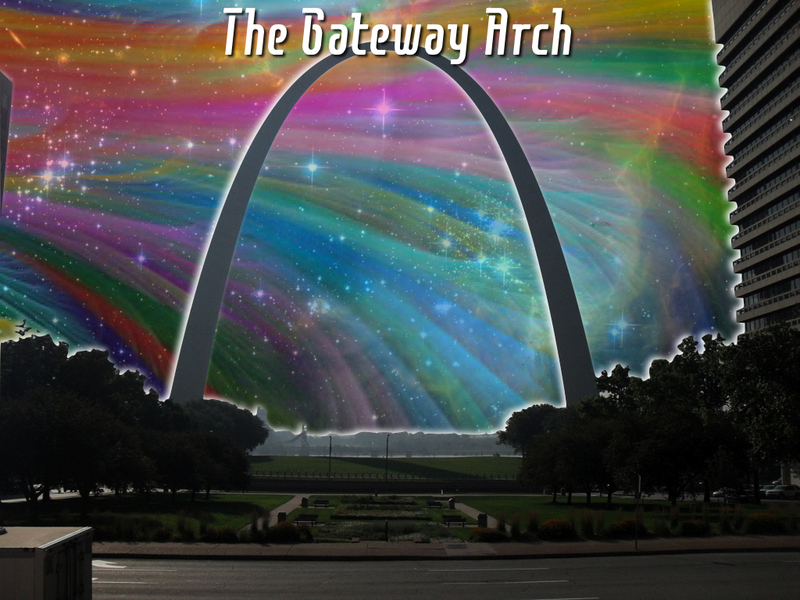 One of the better known Rainbow Bridge monuments is the Gateway Arch! In regard to the symbol of the rainbow pinwheel / spiral / rings. Investigative Mythologist William Henry has revealed that in many pieces of ancient, and sacred art, deities are portrayed emerging through “rainbow rings”, possibly portals! In several pieces of art Jesus / Pale Prophet / Birdman appears to utilize this rainbow stellar transport device emerging through gateways or heavenly portals. The next monument following the Path of Man’s serpentine walkway is the celestial “Castle of Air”! The Celestial Castle was created by Artist, Architect: Peter Haimerl. The Castle of Air is a modern interpretation of Pagodenburg Castle located in the Nymphenburg Park in Munich, Germany. The Castle’s Mirrored surfaces reflect the surroundings of the green park making it seem to disappear, hence the name…Castle of Air. The castle challenges perception by distorting and deforming the surrounding world. It also warps viewers’ perception of time by changing the speed of movements such as the passing of clouds and even visitors. 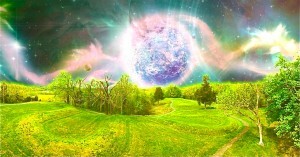 This is true portal for the conscious to perceive the world around us through new eyes. Symbolically, Castles of Air, and Celestial Cities are rather common in ancient lore. 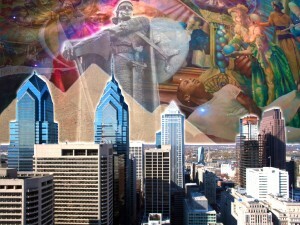 Most are probably familiar with the New Jerusalem, or the Heavenly City believed to descend to the “New Earth”. 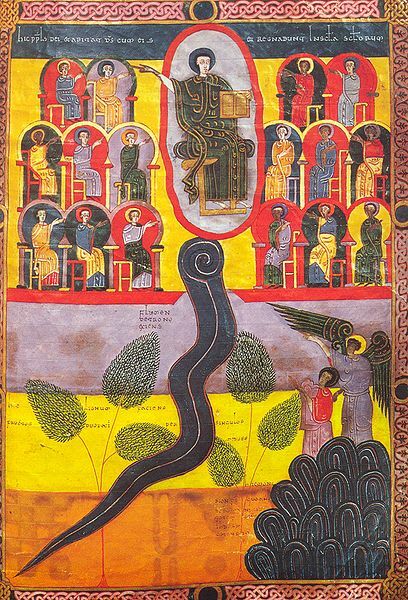 John of Patmos watches the descent of the New Jerusalem from God in a 14th century tapestry. The next earthen sculpture is highly symbolic of two “Giant” hands, “Hands of the Lands”. Hands of the Lands is a tribute to the mound builders of the Ohio Valley Region, this is an earth sculpture in the form of two open hands, with boulders in the centers of the palms. 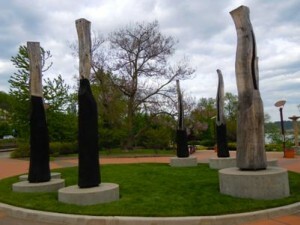 After connecting with the earthen & Giant “Hands of the Lands”, the next stop is in the heart of Friendship Park, the Stellar “Seven Vessels / Ascending, Descending”! 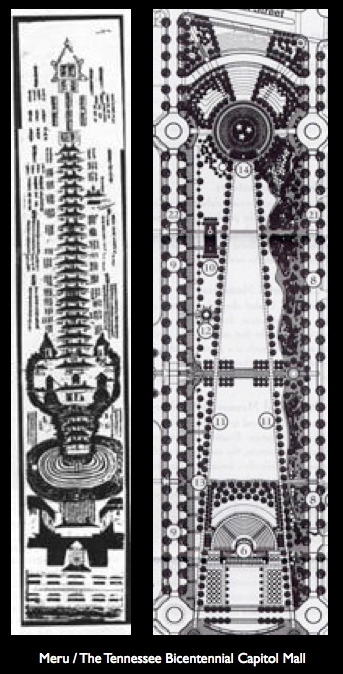 When looking for cosmic symbolism to compare to the Great Serpent Mound, look no further than “Seven Vessels / Ascending, Descending”. Similar to the cosmic serpent, this is stellar calculator! The monument was created by artist David Nash, and was dedicated June 21, 2003 (Summer Solstice). 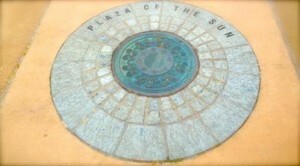 The Plaza is also referred to as “The Plaza of the Sun” These vessels are carved from 150 to 200 year old English Oak and are arranged to align with specific positions of the sun. The largest vessel, the one with no charring, is aligned with true south, casting a beam of light through a carved slot each day at “true” noon. In Cincinnati true noon is 1:38 pm in summer and 12:38 pm in winter. The beam of light is at its shortest on June 21st, the longest day of the year. This day is known as the Summer Solstice, a time when the sun is nearly overhead and when the beam appears as a spot of light on the pedestal. Winter solstice, December 21st, is the shortest day of the year. On this day with the sun low in the sky, this beam of light is at its longest and it appears on the grass in the center of the circle. 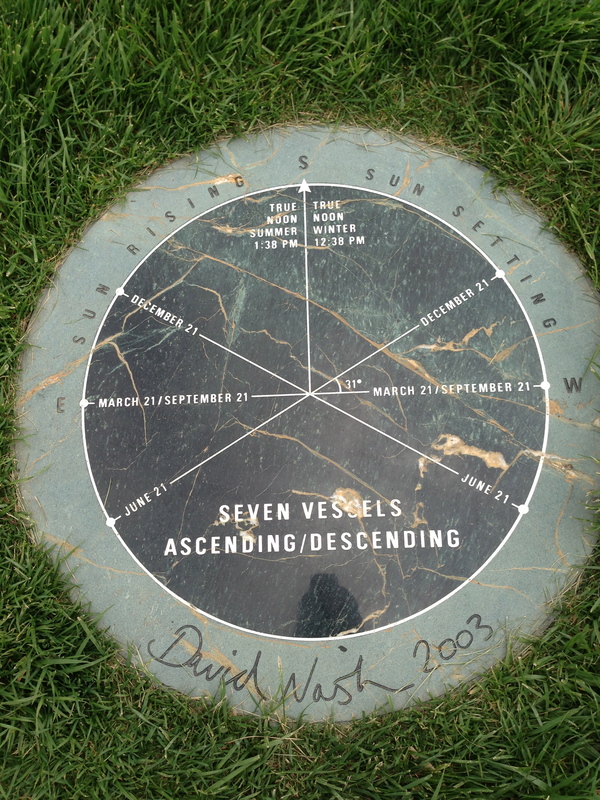 The beam forms a line between the center of the circle and the south vessel at noon. The six charred vessels are arranged so that three are on the east side of the south vessel and three on the west side. The middle vessels in each set of three are aligned to true east and west. The east one aligns with the sun at sunrise on the fall and spring equinox, and the west one with sunset on those days. 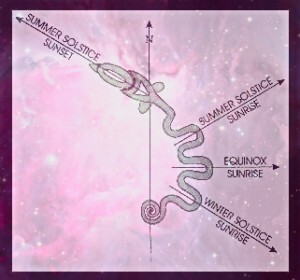 Of the two vessels closest to the true south vessel, one aligns with the sun at sunrise and one at sunset on the winter solstice when the sun makes its shortest arc across the sky. The northernmost two vessels, the ones furthest away from the true south vessel, relate to the summer solstice when the sun makes its longest arc. 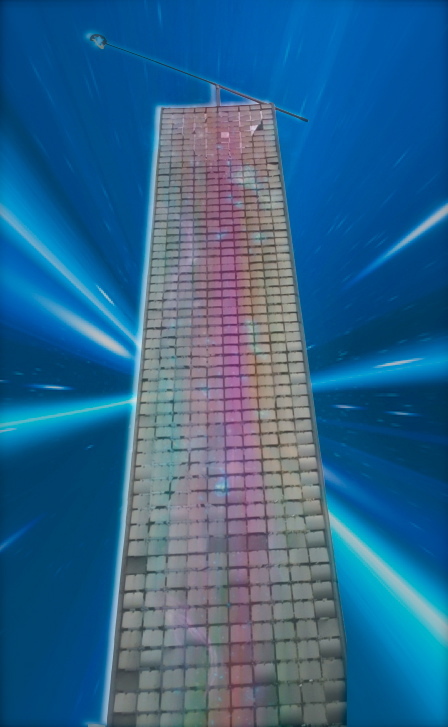 The final sculpture at the end of the spiraling path is the “Crystalline Tower”, appearing as a rainbow monolith on the outside, and a spiraling stairway to the heavens on the inside! 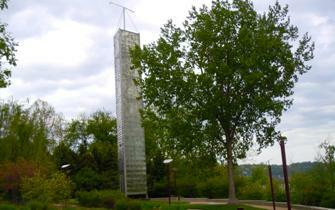 The cosmic tower was created by artists Susan Ewing & Vratislav Novak, and is 3 sided and 90ft, tall. Clad in sheets of titanium, mica panels and steel mesh, the sculpture is meant to interact with nature. 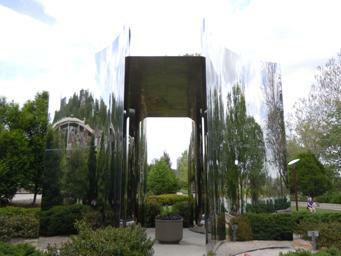 The titanium panels move in the wind and makes sound. The thin sheets of mica reflect sunlight and appear to glow, in the right conditions the colors of the rainbow. 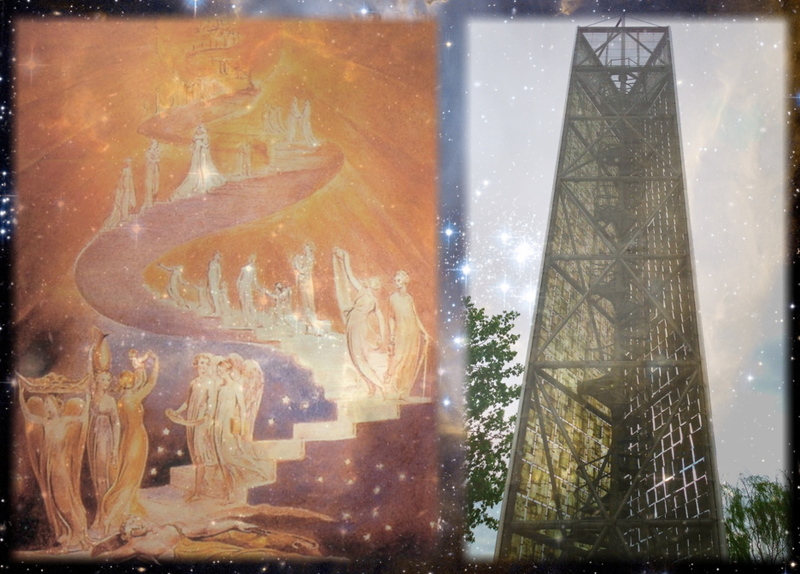 Considering the stellar symbolism in the entirety of the park, when we see the spiraling staircase, within the glowing tower, leading to golden star, can we perceive this as a “Stairway To Heaven”, or even other realms? There remains yet another incredible correlation between The Great Serpent Mound and the layout of the serpentine park. 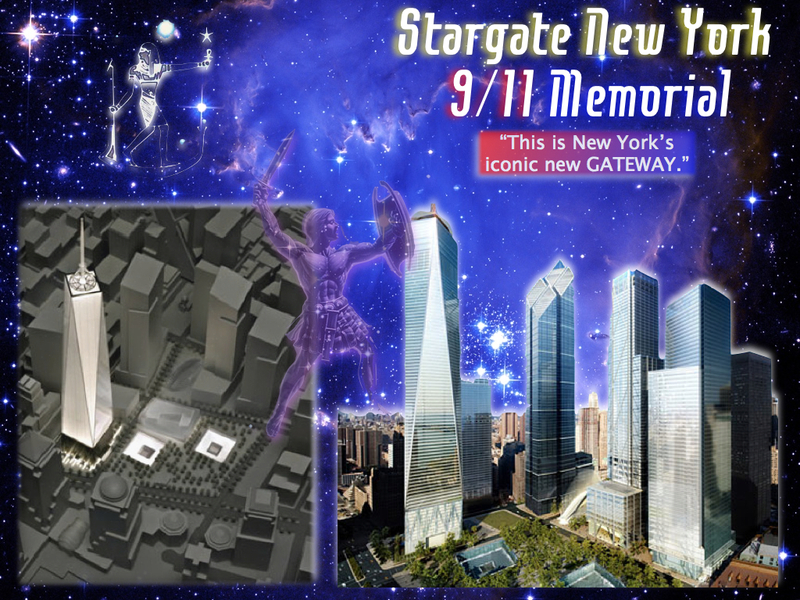 The entire park correlates in shape, symbolism, and cosmic calculations, but the theres more… In the precise place we previously speculated on an ancient monolith in the earthen serpents cosmic egg, the Crystalline Tower monolith occupies the price same location, symbolically speaking!!!!!! 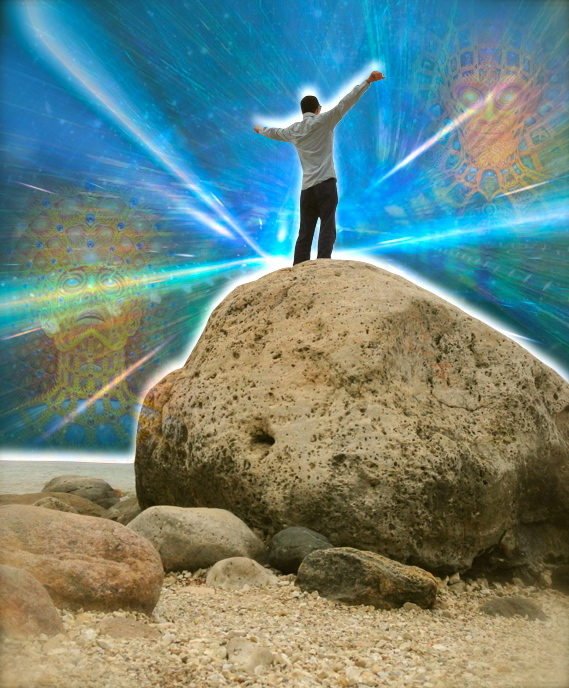 Another cosmic synchronicity (message)! 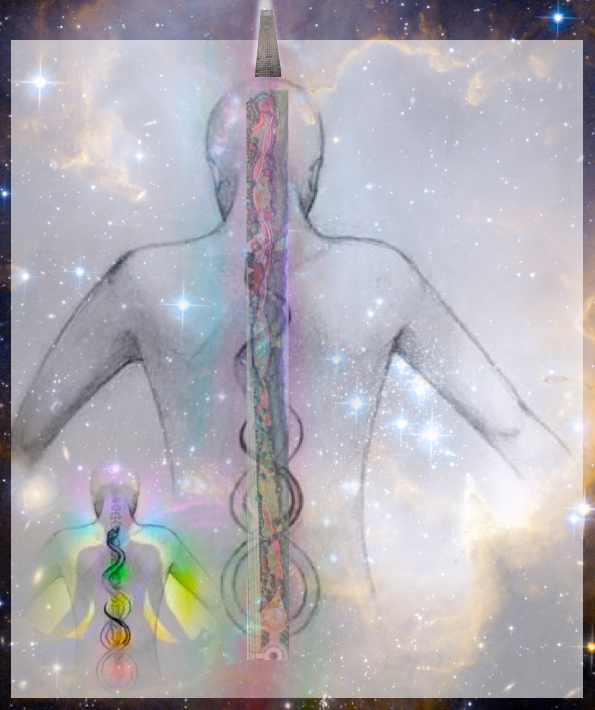 One final symbolic correlation we touched upon was the Kundalini. 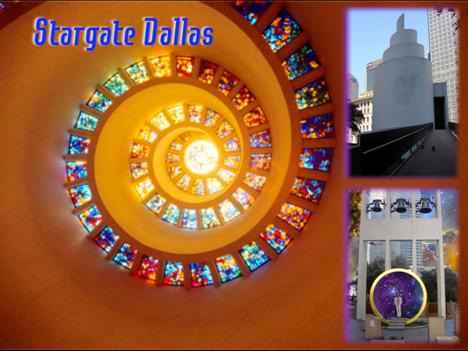 The park synchronistically has 7 continental gardens with paths that coil there way through the park leading to the crystal tower (pineal gland?). 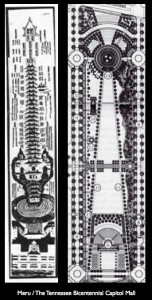 When the serpentine kundalini of human consciousness is placed over the layout of the parks 7 gardens (chakras), it’s a match! 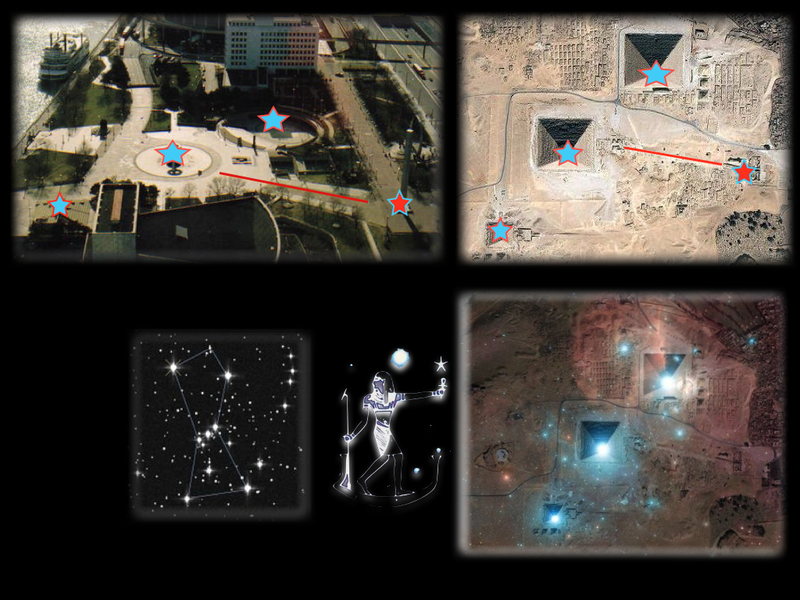 The Stellar Park not only contains an astronomical amount of cosmic symbolism for us to connect with, but is also a pathway to higher consciousness! 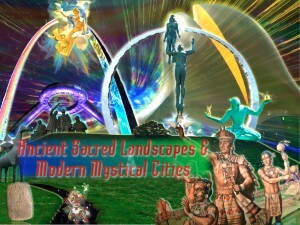 Ancient Sacred Landscapes, Modern Mystical Cities, Urban Portals, and Cosmic Temples……. 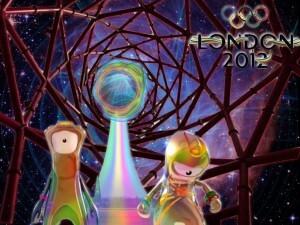 So what does this timely and cosmic symbolism mean for us both as individuals and collectively? By becoming aware of the symbolism and viewing this art in a new light, or from a new perspective, this is a transformation in of itself. 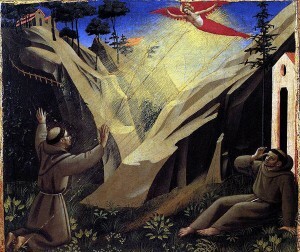 The ancient sacred sites as well as the modern cosmic temples are connection points between the earthly and heavenly realms. The combinational experience we get from visiting both the ancient and modern sacred sites in the same day is something akin to a time-machine, we’re able to look to the past, while feeling in the present, and sometimes even glimpsing the future. 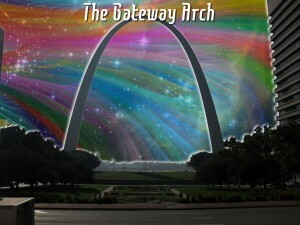 This is a true “Gateway” experience!! !